When planning such an extraordinary event as a 50th Anniversary, you'll want favors that are personalized. 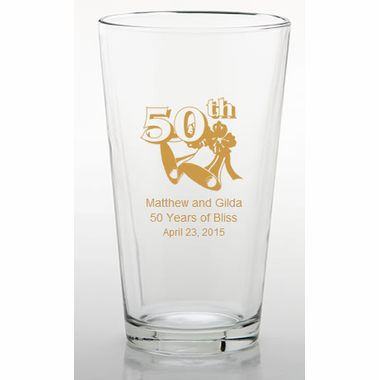 These party pint glasses are just right for a special toast to the happy couple! 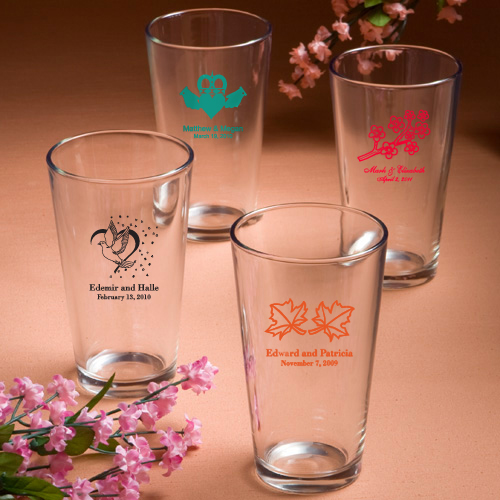 Each is 16 ounce glass is 6 inches tall and 3.5 inches in diameter with the classic tapered pint glass shape and is made in the USA of quality domestic glass. The glasses are shipped in bulk packaging. 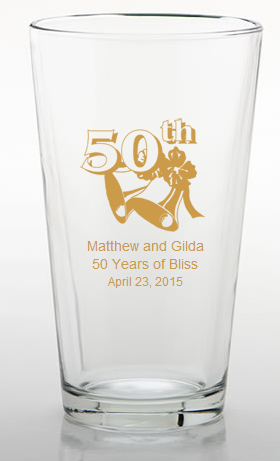 These golden anniversary glasses are sure be a hit at your very unique occasion!